As I stepped on the stone path, a huge meadow brimmed by tall trees stretched in front of me all the way to the horizon. The sky was blue and the air was clear. 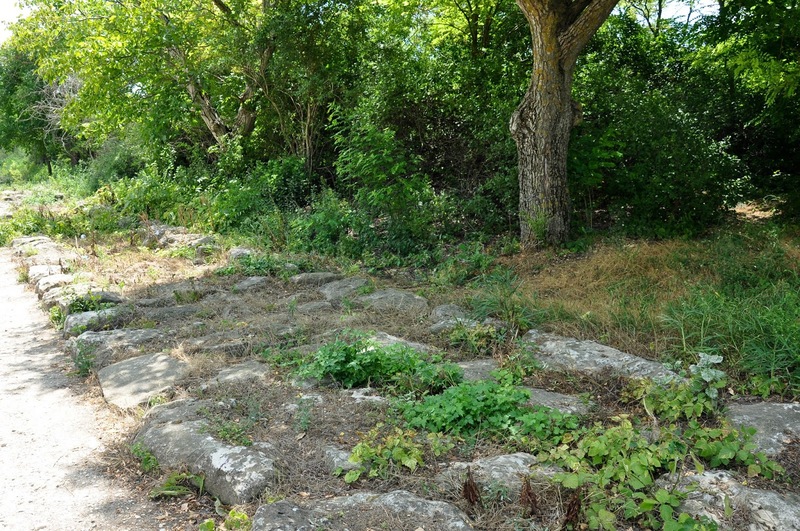 The only indication that thirteen centuries ago one of the then biggest and most prosperous cities in Europe had been founded at this place, was a large limestone block and strips of red and white tape marking a rectangle for future excavations. Thus passes the glory of the world. What is here today is gone tomorrow. What we believe to be powerful and indestructible, often doesn’t last longer than a few generations. I once read an article in a popular science magazine estimating how quickly nature would take over anything and everything that the human hand and mind ever created in the event that the human race simply vanished from Earth one day. In front of my eyes was the proof that, in fact, the time frame wasn’t that long after all. That same morning we had left Varna by car eager to explore Bulgaria a little bit further away from its Black Sea coast. 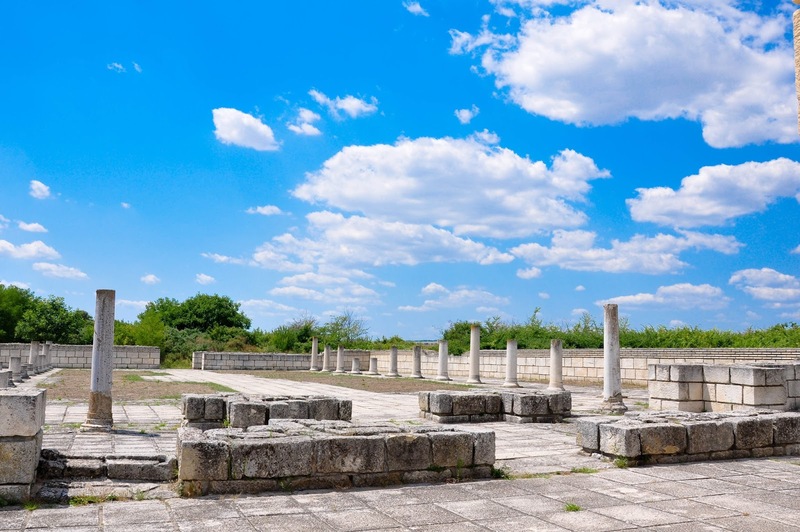 After a short deliberation, we decided to drive straight to the First Bulgarian Capital – Pliska, which is less than an hour away from Varna. I had visited the excavations of the once powerful city a couple of times as a primary and then secondary student and I was interested to see this historical place again in order to refresh my memories of it. An easy drive first on the motorway connecting Varna and Shumen and then, for the final ten minutes of the journey, through sunflower fields in full bloom, took us past the present day village of Pliska – a small, quiet and uneventful place – to the remains of the once powerful First Bulgarian Capital with which the village shares a name. A partially restored long defensive wall stood in front of us. We bought tickets and walked through the Eastern Gate straight into the remains of a glorious past. A wide stone path beckoned us to the right. 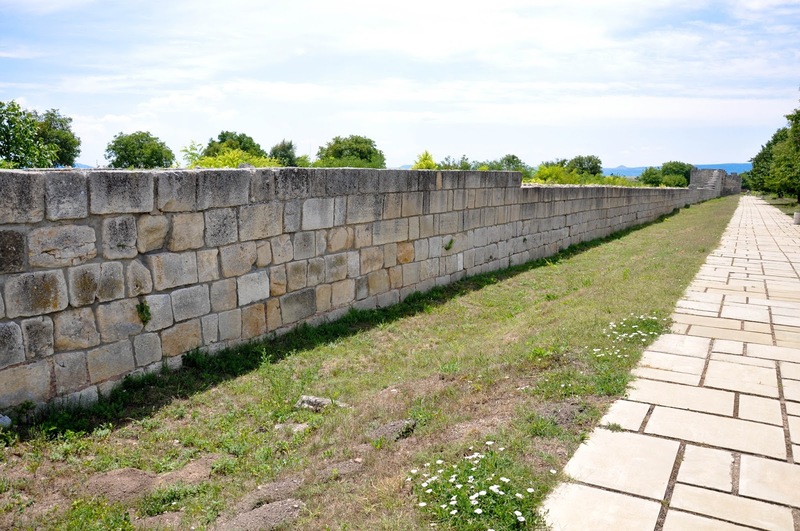 On one side stood the wall made of large limestone blocks. On the other stretched the field underneath which, undoubtedly, many more archaeological finds were waiting to be revealed. We followed the path along the wall admiring the staggering size of the place. 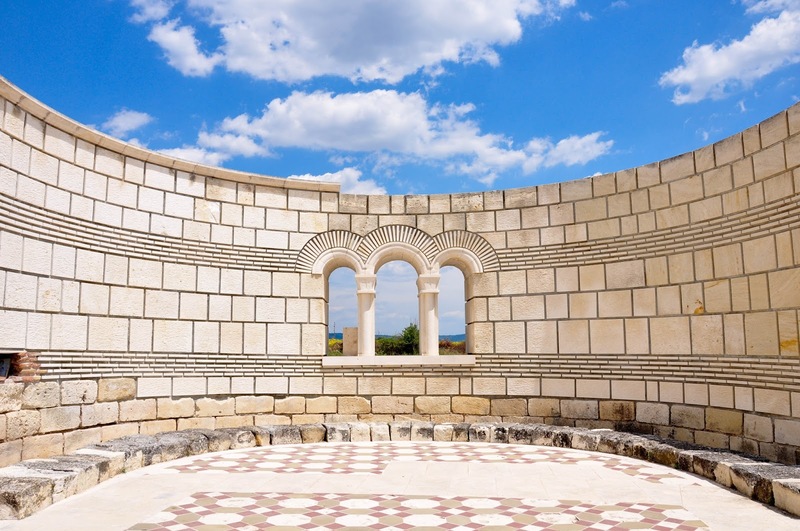 At its heyday Pliska housed a splendid palace, heathen temples and then churches, a fortress, a citadel, baths, as well as many dwellings and workshops. Its defensive walls were 12 meters high. 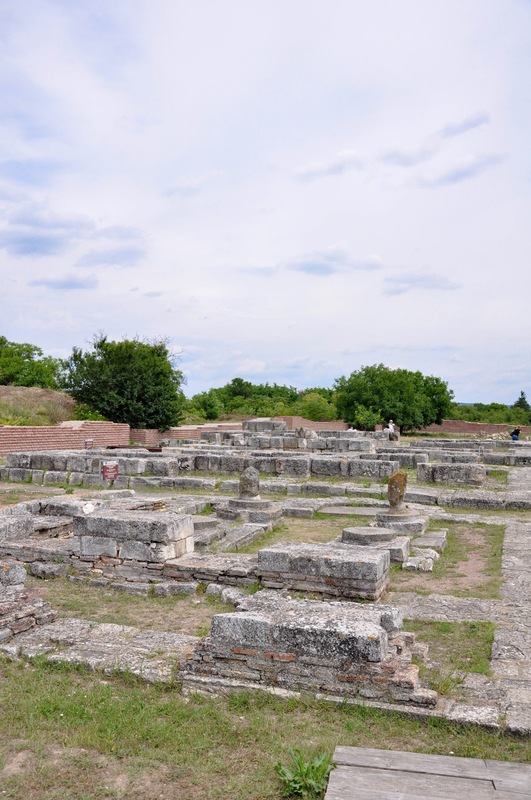 I tried to imagine the rich capital city which had been bubbling with life and had been a witness to major historical events which shaped Bulgaria and its destiny. It was all very quiet around us now. 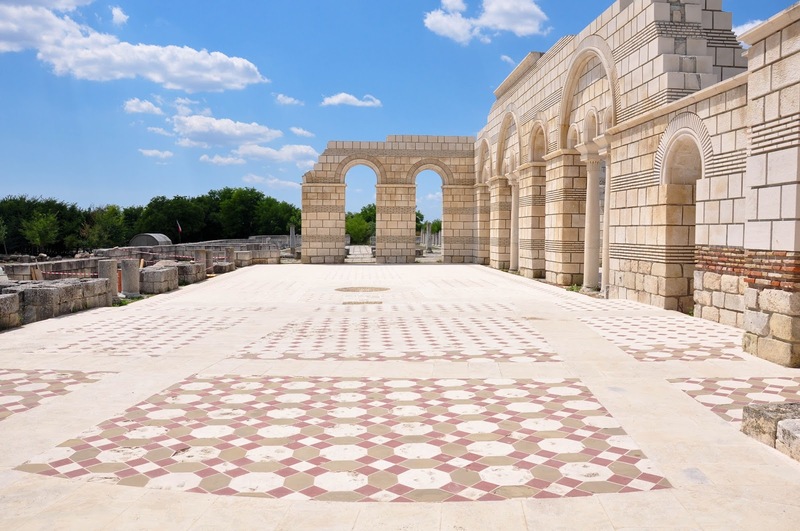 Long gone was Khan Asparuh, who founded Bulgaria in 681 and established Pliska as the capital of his new country. Long gone was Khan Krum who doubled the Bulgarian territories, introduced the first known written Bulgarian law code and not only slew the Byzantine Emperor Nikephoros I, but had his skull turned into a goblet to drink from during state banquets and celebrations of victory. And long gone was Knyaz Boris-Mihail I who converted Bulgaria to Christianity, laid the foundations of the Independent Bulgarian Church by astutely playing Rome against Byzantium and was instrumental for the development of the Bulgarian alphabet and literature. 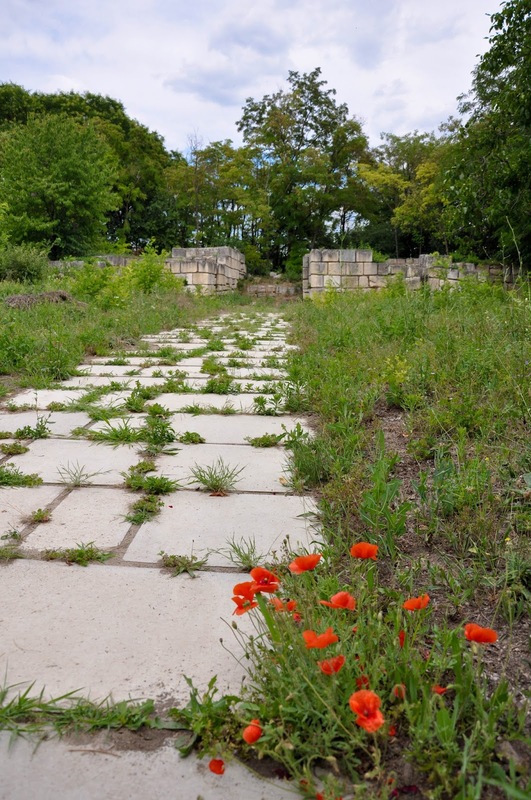 At the end of the stone path laid a tiny garden with benches covered by lush bushes in full bloom. Right behind it stood a small museum tracing the glorious past of Pliska. 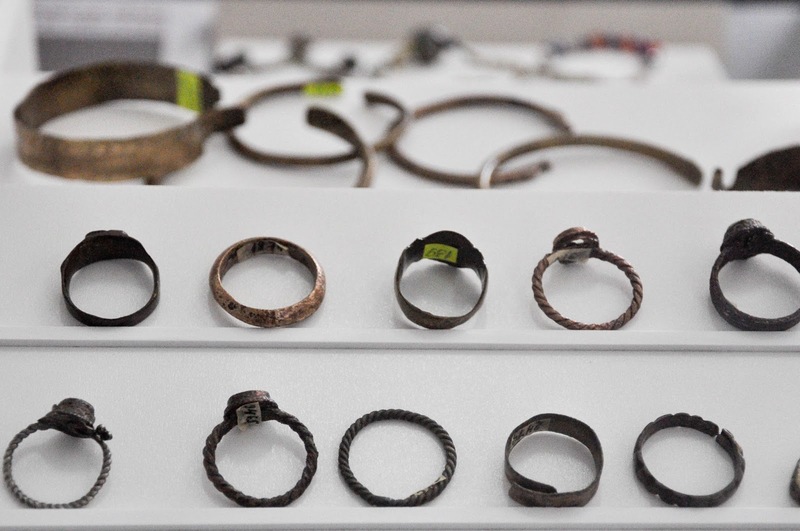 It is amazing how everyday objects can survive the harsh passage of time and reach us from beyond the centuries to tell us the story of their owners and the former rulers of my land. 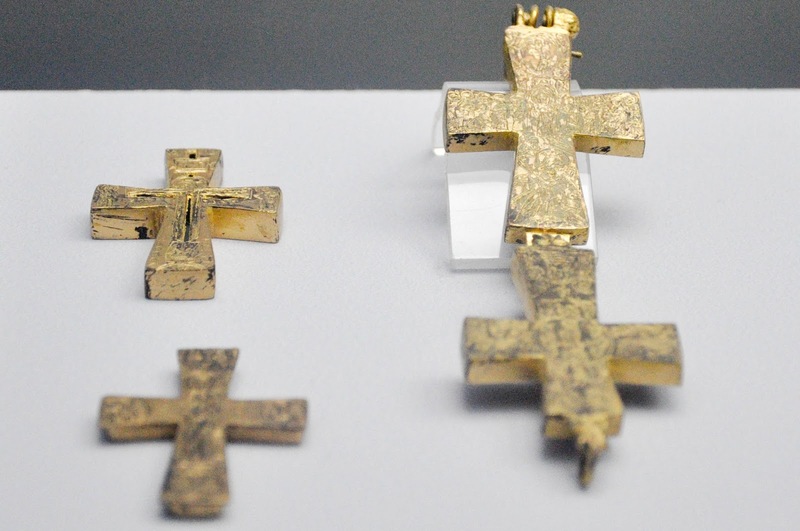 I spent several minutes in front of each display, quietly admiring the preserved jewellery pieces, gold crosses and pottery that had been worn, used and treasured by people who are now long gone. Informational posters told the story of Pliska and the Bulgarian khans who ruled their young country from its just as young but quickly evolving capital. 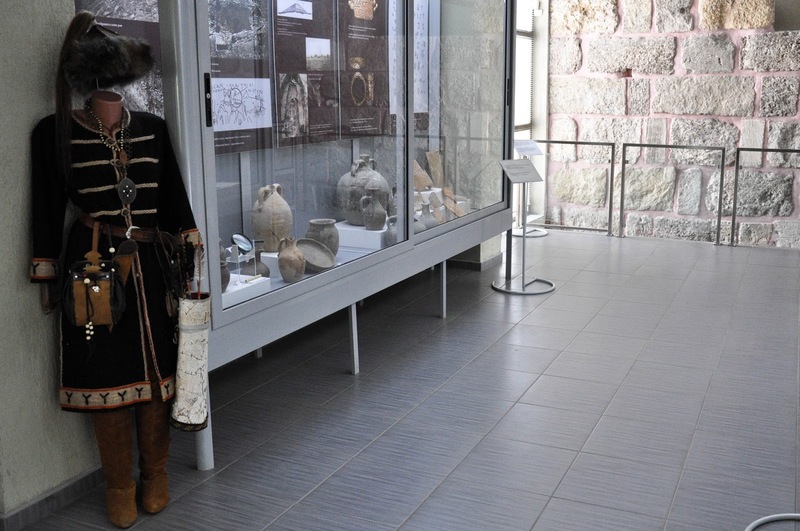 Ingeniously, a preserved portion of the defensive wall was incorporated in the museum and a lovely girl – a student from a top school in the nearby city of Shumen who was working at the museum as part of a summer internship – pointed a very curious detail to us. 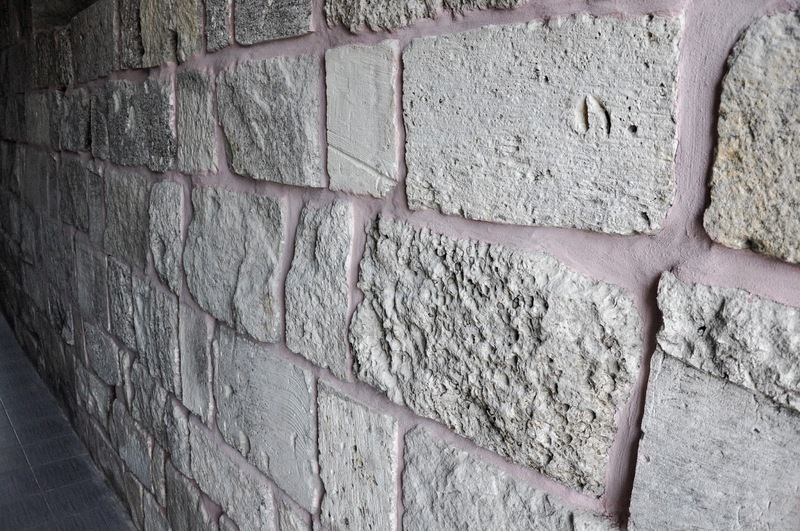 The mortar which had kept together the mighty limestone blocks of the wall for centuries on end was pink! The hue was achieved by adding ground red bricks to the mortar. The effect of the tall white limestone wall with pink mortar in between the blocks must have been staggering at its heyday. 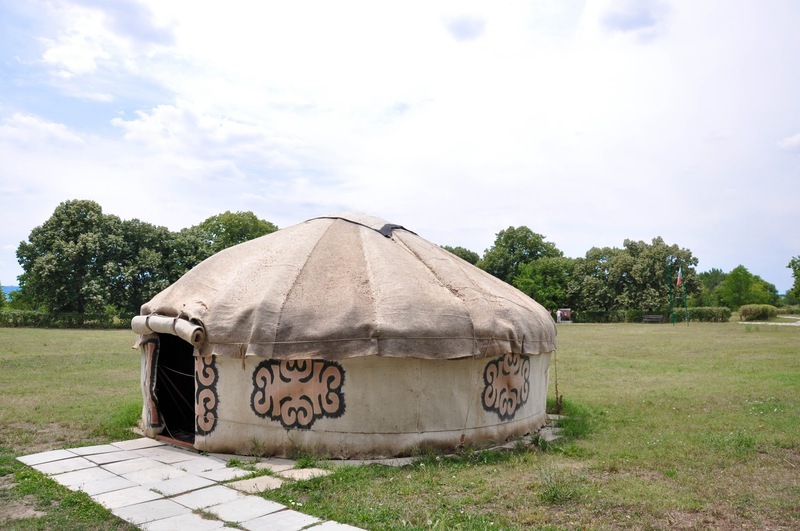 Outside of the museum we had a look at the two yurts representing life as it had been for the Proto-Bulgarians who came from Asia and founded Bulgaria by forming an alliance with the Slavonic tribes who were already living in these lands. 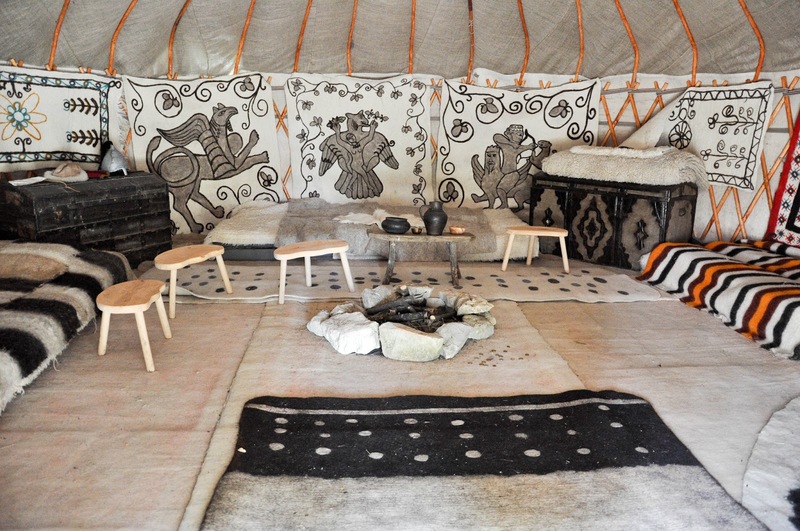 Beyond the yurts was the tomb of Karel Skorpil – an archaeologist and museum worker who, together with his brother Hermann, founded modern Bulgarian archaeology. 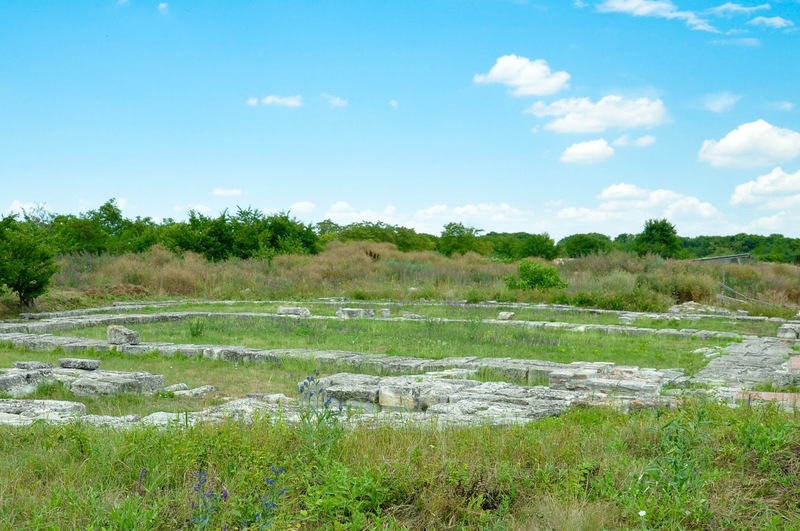 He discovered the ruins of Pliska, headed the excavations of the First Bulgarian Capital and it was his wish to be buried here. We spent a few minutes by his grave and I gave a silent thanks to this man of Czech origins who re-discovered the history of Bulgaria. From there we followed yet another path which took us to the Northern Gate of the old walled capital. It was crumbling and it seemed to be taken over by nature. Quickly we retraced our steps and headed to the main excavated sites. Pliska is a work in progress. In fact, right by the museum, but concealed behind a wall, we saw the houses in which the archaeologists working on bringing the remains of the old buildings back to the surface live. 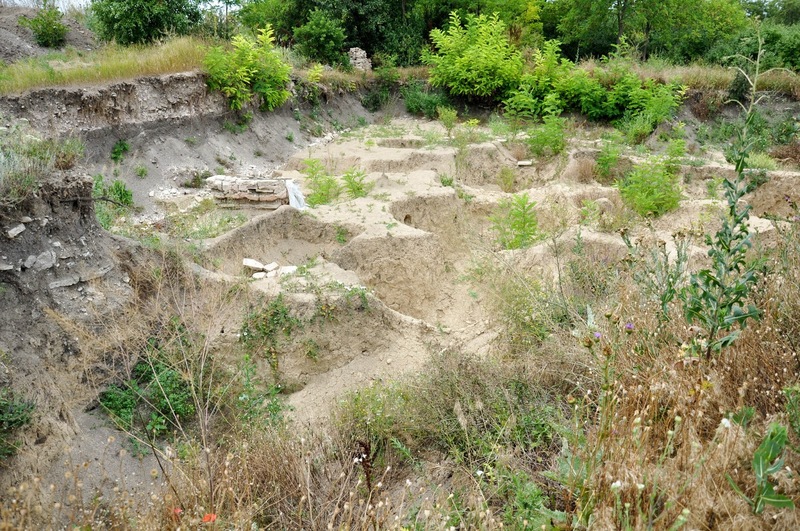 We also saw plots where the excavations had been started but then, seemingly, they had been stopped and grasses and plants were taking over the land again. I quietly wondered how much the process costs and if there are enough available funds for this important task. We followed the outlines of the noblemen’s dwellings, the citadel, the heathen temples and what had remained of the once magnificent palace. There were not many people around. It was a very quiet day with the sun shining bright in the blue sky overhead. Grass and plants were trying to regain control over what had been excavated. 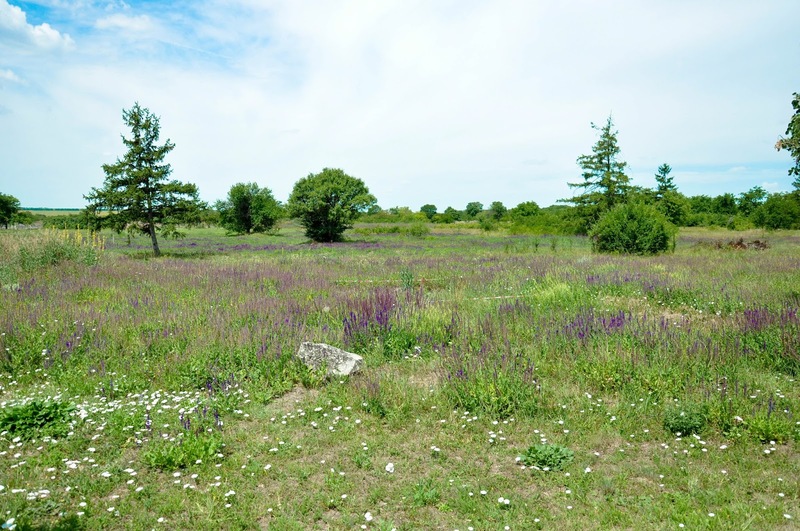 Looking around at the large meadows between the ruins, I felt that many more secrets and mysteries lie uncovered under the wild flowers which were in bloom. Lost deep in thought about what Pliska had been and what had survived from its golden age, we completed our walk and reached the Eastern Gate.We got back into the car and drove up a narrow road which had been pointed to us by the ticket office lady. The remains of the defensive wall ran up all the way by the road, indicating once again the enormous size of the old capital. 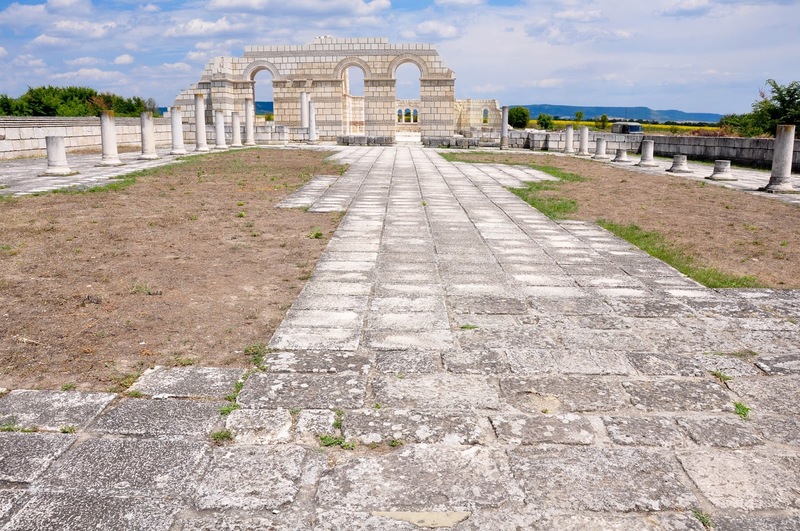 After a kilometer and a half, we saw the remains of the Great Basilica – once the largest cathedral in Europe with an area of close to three thousand square meters. When it was completed in 875 AD, there was also an archbishop’s palace and a monastery right next to it. The Basilica is inextricably bound with the Christianisation of Bulgaria exactly 1150 years ago. 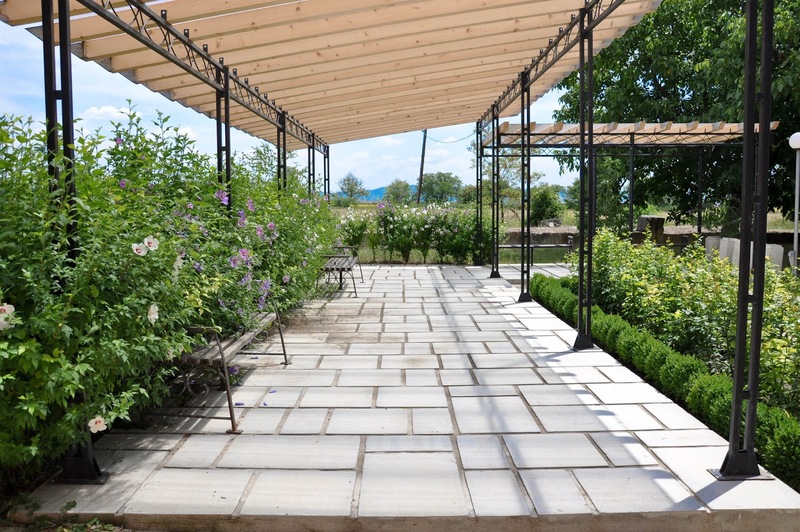 Nowadays there are plans set in motion to restore its building to its former glory. As such, a partial reconstruction has been attempted. The current look is like that of Lego blocks put together by an inexperienced child’s hand. A wall of whitish cubes towers above the preserved historical foundations. If you ask me, the past should not be tampered willy-nilly with. 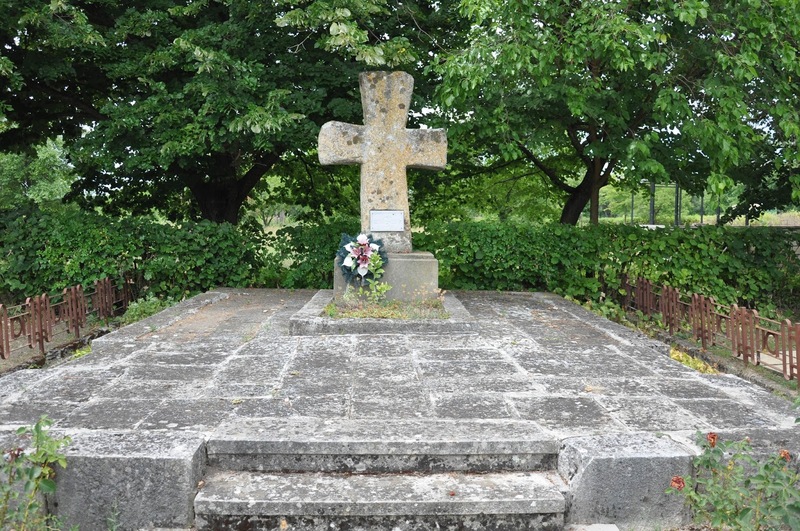 It seems a sacrilege to disturb it with grandiose visions of bringing it back to modern life. Ideally, we need to learn from it and respect what is left of it, instead of spending silly money on trying to re-shape it into an idea that only some of us may have of it. We spent some meditative moments in the remains of the Great Basilica. 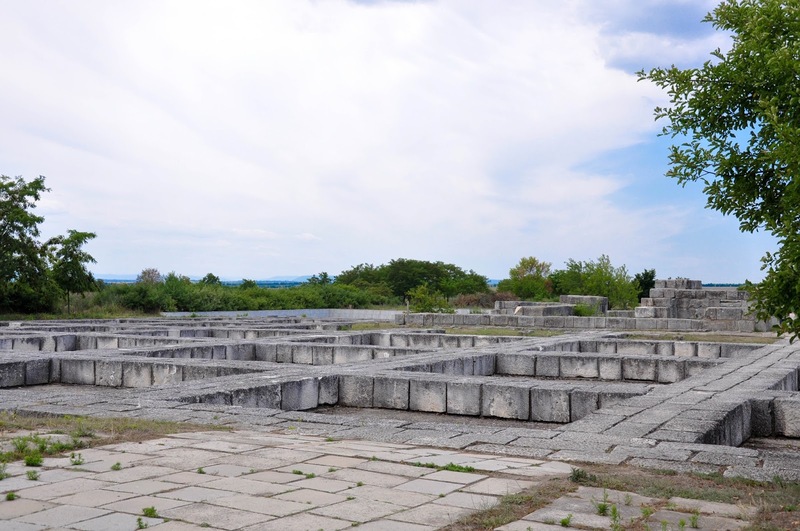 On our way out I silently wished for this madness of our current rulers to feel great by association with Bulgaria’s glorious past to quietly go away and any available funds to be spent on the preservation of Pliska and further excavations of what is left of it instead. I mean, the first rulers of Bulgaria, the powerful khans of the First Bulgarian Empire made a name for themselves and for their young country based on their own deeds. So, the lesson they taught is to go out in the world and develop our own ideas, achieve our own dreams and be proud of who we are. Yes, the past defines us, but we can’t spend our whole lives trying to shine with its reflected light. 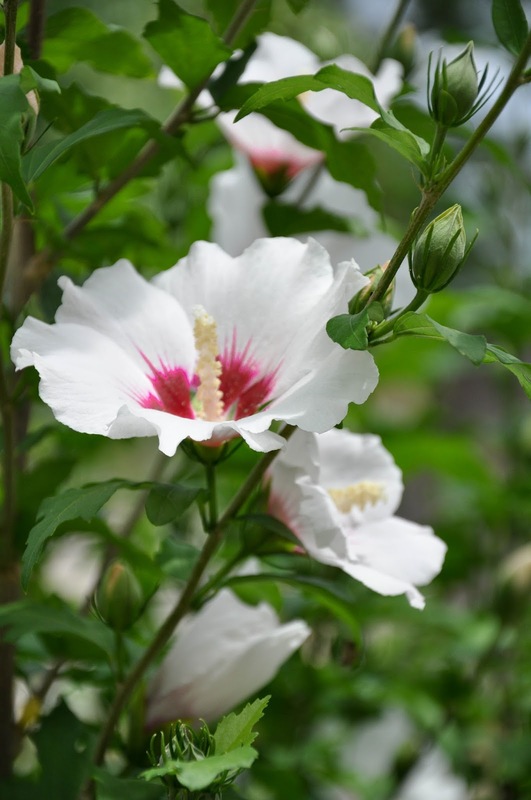 Better leave the past in its comfortable earthen bed and make sure that we preserve it as best as we can while we build new foundations for a future glorious past. 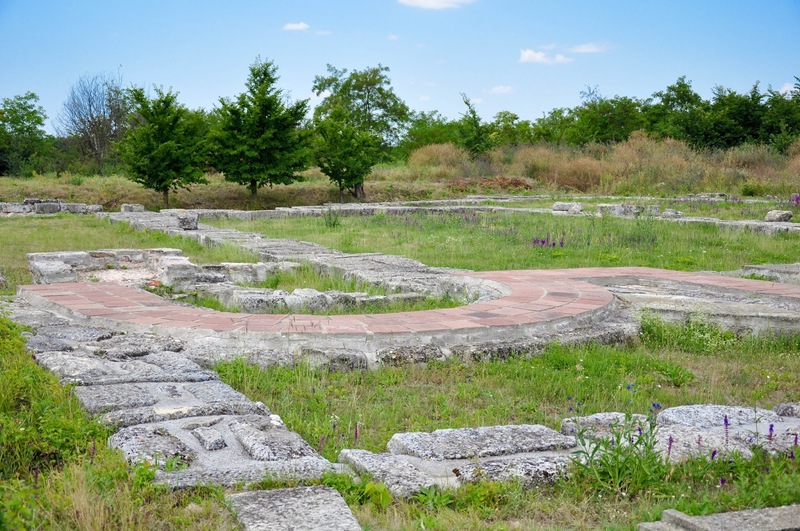 Have you been to the excavated site of the First Bulgarian Capital Pliska? 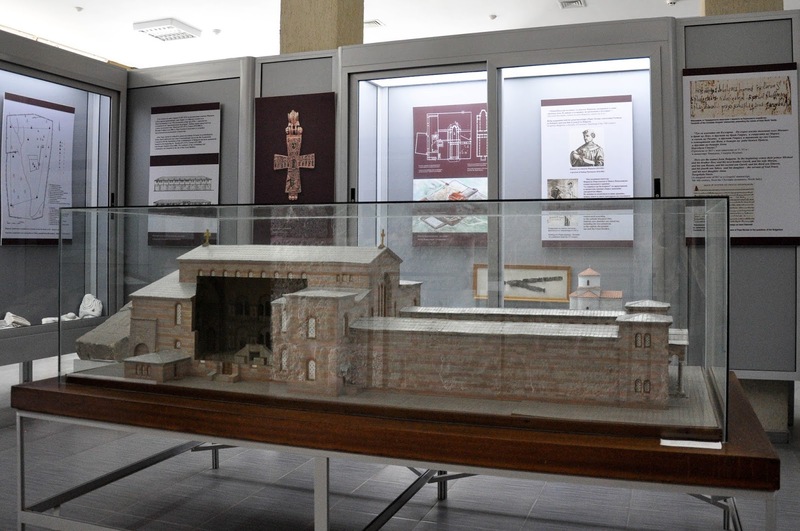 to the attempts to re-build the Great Basilica.